Your operating system is the software that manages everything from your apps to the hardware inside your PC. Without an operating system in place you wouldn’t be able to use your computer. Windows is one of the most common operating systems around and it’s not hard to see why it’s so popular. It’s easy to use so you won’t get lost or confused when navigating between programs. 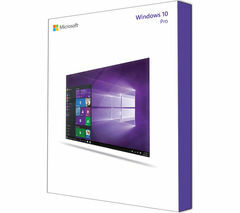 Windows 10 is the latest operating system from Microsoft. You can experience it on any compatible laptop or desktop PC. Choose Windows 10 home for your home computer and Windows 10 pro if you use your laptop or PC for business. Windows 10 pro offers even more protection with the addition of BitLocker data encryption which is a powerful security measure you’ll need if you keep sensitive client data on your computer. We have a range of cheap operating systems so you won’t be out of pocket. 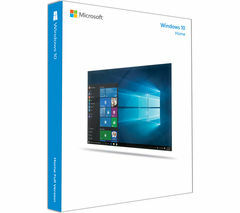 Check out our complete range of Microsoft operating systems and don’t forget to take a look at our entire software range. Whether you’re a home user or a business user, you need an operating system you can rely on, so make sure you consider all the options before choosing.